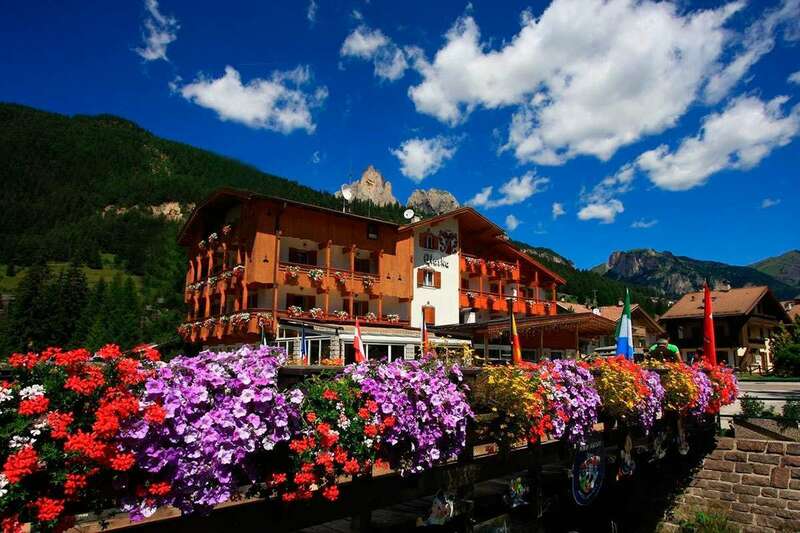 With all the amenities close to hand, Hotel Chalet Alaska in the middle of Pozza di Fassa is a superb option for all. Just 300 metres from the ski lift Buffaure and offering a children’s play room, restaurant, and free spa, everything required is within walking distance. What’s more, the restaurant serves up a filling breakfast to start the day in the right way with sweet and savoury options; as well as Italian cuisine, Hotel Alaska also goes for Tyrollean dishes. In the rooms, wooden furnishings give the room a relaxed look whilst the private bathroom offers free toiletries, a shower, and a hairdryer. After spending a long day skiing, the satellite TV allows guests to put their feet up. Failing this, the steam bath and sauna are also options as are the sofas in the bar.